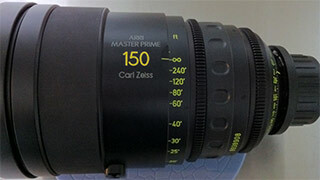 Ultra primes were the first of the current production Zeiss cine primes to be introduced, becoming available in 1998. They have been in continuous series production since then and have become one of the most used lenses for high end cinematography. The traditional helical thread based focus system, used on the Standard and High Speed Primes, moves all the optics and most of the lens housing with focus (the length of the lens changes during focus). This focus system was subject to wear over time and weight on the front ring (clip-on matte box) would accelerate the process. It was also a somewhat delicate system to service. Internal focus system for all focal lengths: The length of the external housing remains constant during focus. The positions of the focus and iris gears are unaffected. The Distagon lenses (all lenses in the set shorter than 50mm) use a floating element system where the front group stayed in a fixed position and only the rear group moved during focus. The Planar lenses, use a semi-floating element system utilizing unit focus with a fixed rear element (similar to the Planar 1.2/50 and 1.2/85 High Speed primes). Entirely new optical designs1, achieving a consistent T1.9 aperture for all lenses in the set except for Distagons 8R, 10 and 12mm. The new optical designs eliminated glass types that contained lead or arsenic. This anticipated the EU RoHS directive, and the Ultra Primes were able to stay in production after 2004 unlike the High Speed primes which had to be discontinued. The irises have nine blades (10 in the case of the 135mm UP). The High Speed primes had seven iris blades. The optical performance of the Ultra Primes is very good. The set is characterized by it’s consistency, with no “weak” focal lengths, and for its optimization. Compared to previous lens designs, Ultra Primes preform very well wide open and require minimal stopping down to reach the aperture for optimum MTF. Distortion is very low even on the widest focal lengths. Field curvature is well controlled. Zeiss also produced a series of lenses that share the Ultra Prime mechanics, but have completely different optics designed to cover the Super 16mm format, and have a T1.3 aperture. 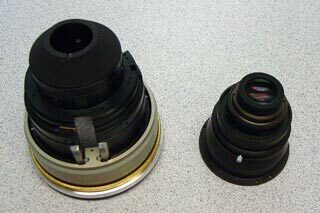 These lenses were designed to provide the highest optical quality in the Super 16mm image area. The optical design of these lenses is superb, even by Carl Zeiss standards. They are the sharpest cine lenses so far produced (within their image coverage circle). Due to unfortunate timing (just in time for RED killing interest in the S16mm format), production of these lenses was very limited. 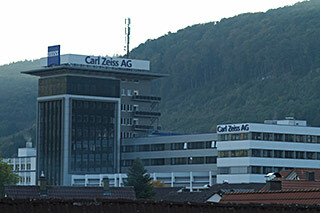 I don’t know how many sets were produced, but in over 5 years working at a Carl Zeiss authorized service center, I never had a single one come in for service. This is unfortunate as I would have been quite keen to do optical testing on them. As I mention in the above linked article High Speed Primes Genesis, the first Master Prime prototypes were assembled in May 2004. Introduction to the market by ARRI and Zeiss took place at NAB in 2005. The original set, as announced in 2005, was quite extensive comprising 16, 18, 21, 25, 27, 32, 35, 50, 65, 75 and 100mm focal lengths. ARRI and Zeiss could have simply come up with a new set of High Speed lenses without leaded or aresic doped glass and they would have sold quite well (at least after the introduction of the RED ONE). 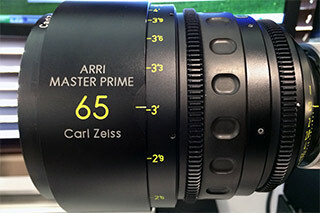 But instead ARRI and Zeiss decided to take the new design to a whole new level of sophistication and complexity. 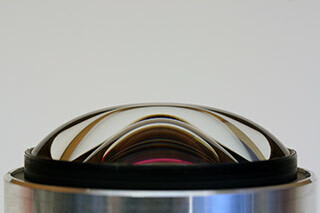 A redesigned prototype Master Anamorphic 50mm was first seen at IBC in September 2012. 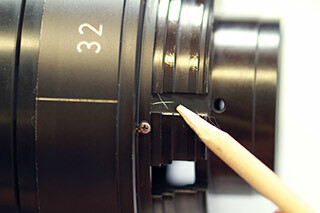 Production style prototypes of the 35, 50 and 75mm primes were seen at NAB 2013. First deliveries were made in early 2014. 40, 60, 100 and 135mm focal lengths were lated added to the set. The Master Anamorphics are part of the ARRI Zeiss Master line, meaning they are top-of-the-line products that are very nearly cost-no-object designs. The goal of the Master Anamorphic design was to produce a set of 2:1 anamorphic lenses with high contrast, very good sharpness and minimal distortion. It is clear that these goals were achieved. The Master Anamorphic lenses have the least distortion of any anamorphic lenses I have seen. This is the newest entry in the modern lens section of cinematechic.com. I will be updating this page once I’ve had a chance to have more hand-on experience with these lenses.